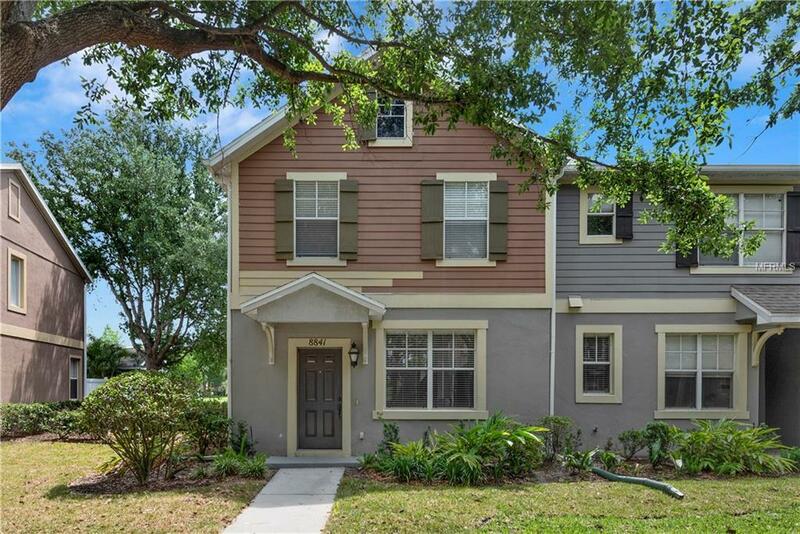 Don't miss out on this exceptional END UNIT townhouse in Windermere. Close to Disney! This immaculate town home was just completely redone! It has brand new laminate flooring, granite counter tops, new paint throughout and brand new appliances. Upon entering, you'll notice the wide-plank flooring in the living room, foyer, and family room. The kitchen is appointed with 42 inch solid wood cabinets, stainless refrigerator, glass top stove, Microwave and dishwasher. Kitchen also features a closet pantry. The kitchen & dinette are open to the family room providing a great space to relax and entertain. You'll appreciate this end unit's additional natural light. A single glass door provides access to a generous-sized privately fenced yard with cement brick patio and walkway for additional outdoor space and leads to a personal detached 2 car garage. The spacious master bedroom has vaulted ceilings and a large walk-in closet. The master bath and guest bathrooms feature ceramic tile flooring. Laundry closet is located on the 2nd floor next to bedrooms and washer and dryer are included. Lake Reams features a swimming pool & walking paths surrounded by conservation areas. Zoned for Bay Lake Elementary, Bridgewater Middle and the new Windermere High School. Close to shopping, dining, entertainment, & major highways.